A few times every block along the route of the third annual Women’s March in Washington, Khadija Husain heard a voice call out from the crowd: “May I take your picture?” Each time, she paused and held her poster high, smiling as the photographer offered a “thank you” or thumbs-up before moving on. Although she wore a fashionably fuzzy cream-colored coat and crimson, striped Harry Potter scarf (Gryffindor), most likely it was her hijab that drew much of the attention. Her head scarf, a sign of her Muslim faith, along with her purple poster from the Muslim Women’s Alliance helped her stand out from the crowd. Her poster read: “No Muslim Ban Ever. Black Lives Matter. Believe Women, Believe Survivors. Human Rights are Women’s Rights.” A quote often attributed to the Rev. Martin Luther King—“No one is free until we are all free”—was emblazoned across the top. Husain was one of scores of Muslim women who participated in the Women’s March in the nation’s capital in January, drawn there by a passion for a range of issues. The Chicago-based Muslim Women’s Alliance was an official partner of the event. The non-profit was founded in 2007 by a group of women frustrated with the lack of leadership opportunities for women in mosques, and the alliance has since broadened its scope beyond the mosque to become a voice for Muslim women’s empowerment. With 13,000 people on its mailing list, the MWA raises money for scholarships, runs a mentorship program for Muslim girls, hosts events, and works with the boards of mosques to build greater gender equity inside religious institutions. The Women’s March’s sponsorship was an example of the alliance stepping onto a national stage. Raheemullah and Husain, the MWA communications director, led a group of about a dozen Muslim women from Chicago to D.C. for the event, chartering a bus for the overnight drive across 700 miles of dark, snow-swept highways. A contingent of more than 50 Muslim women from the D.C. area met them there. Many of the women marched in matching bright blue hijabs. In the weeks leading up to the march, media attention focused on reports that the Women’s March national leadership was fracturing, holding tearful meetings and navigating allegations of anti-Semitism after a former board member, Vanessa Wruble, said she left the organization after hearing anti-Semitic comments from march leaders. Women’s March board member Tamika Mallory came under fire for attending a Nation of Islam rally and praising Nation leader Louis Farrakhan on social media. The Southern Poverty Law Center, while acknowledging the Nation of Islam’s programming and theology is aimed at uplifting African Americans, designates the Nation of Islam as a hate group for its leader’s racist, anti-Semitic, and anti-LGBT rhetoric. The controversy had an impact: Women’s marches took place in cities around the country, and some, concerned that the tensions in the D.C. group had tarnished the brand, took pains to separate themselves from the march in Washington. For many of the Muslim women at the D.C. march, the issues were complex. No one in the MWA contingent was a member of the Nation of Islam; just two percent of African American Muslims ally with Farrakhan, whose racist theologies are anathema to the racially inclusive theology of mainstream Islam. Many of the women, however, had watched the controversy play out in the media, and several commended the Women’s March leaders for listening to criticism and responding by expanding their leadership team. Muslim women’s political activism is growing nationwide. The recent elections of the nation’s first Muslim congresswomen—U.S. Rep. Ilhan Omar of Minnesota and U.S. Rep. Rashida Tlaib of Michigan—are parts of a much larger movement, says Najeeba Syeed, associate professor of interreligious education at Claremont Theological Seminary in Southern California. Syeed, who teaches a class on Islam, Women, and Social Movements, notes that groups such as MWA are led by women who are adept at building coalitions. “What’s been really fascinating to me is some of the cutting-edge, anti-racism work within the Muslim community has been largely led by Muslim women,” she said. The U.S. Muslim population is extremely diverse, a fact underscored by a 2017 study by the Pew Research Center, and this diversity was evident in the MWA group, which included women who were white, black, Latina, and of South Asian and Arab descent, and included converts as well as lifelong Muslims. Of the approximately 3.45 million American Muslims, about 20 percent identify as black or African American and 28 percent identify as Asian. Although the majority are American citizens, those with immigrant roots trace their ancestry to more than 75 nations. The fear hasn’t gone away. Nearly every woman on the bus reported experiences of harassment. A 2018 poll by the Michigan-based Institute for Social Policy and Understanding found that six in 10 American Muslims reported experiencing religious discrimination in the past year. Nearly 70 percent of those targeted were women. As this year’s march wound down, Raheemullah said she noticed the “electric” feeling of the first march wasn’t as palpable this time. “People seem tired,” she said. At one point, she had reached protectively for her daughter after a shouting match erupted nearby between protesters on either side of the abortion debate. Abortion rights were not mentioned on the MWA signs at the march, a sign of the complexity of the issue for many Muslim women, Husain explained. She lingered for several minutes, offering hugs and posing for selfies before heading back toward the rally stage. Monique Parsons is an independent religion reporter based in Chicago. Is Schism Inevitable for the United Methodist Church? 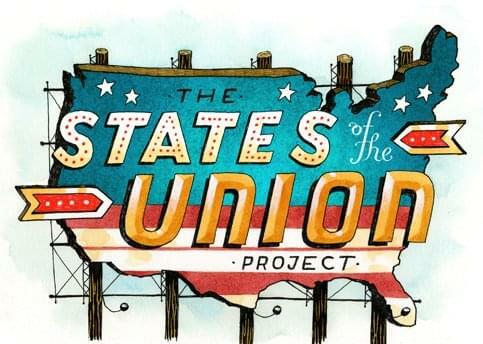 Writers tell us stories about where they discovered religion and politics in their states. An Ozarks Native Crosses the Show Me State. A setting to debate the issues of the day. Where can opposing sides in the abortion debate find common ground? Sign up to receive our newsletter and occasional announcements. © 2017 Religion & Politics | Terms | Design by Point Five, NY.